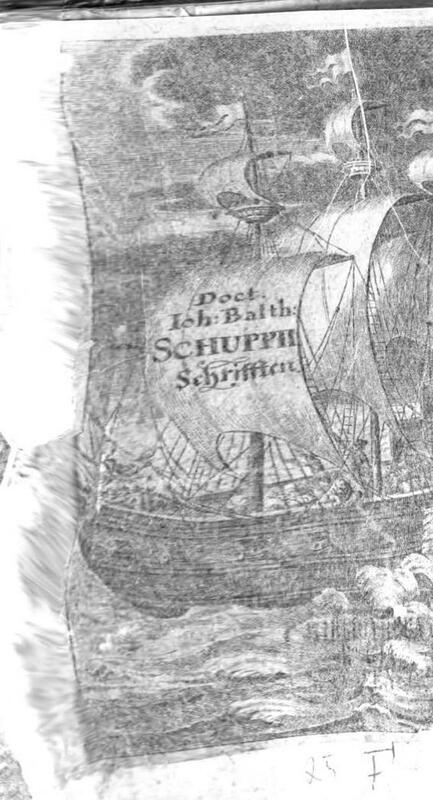 Johann Balthasar Schupp, 1610 - 1661. Note: The word "Kobald" in the original Schuppi text my be spelled with a "C" and not a "K". All modern references spell the word with a "K". "You, my dear father, who feeds himself without damaging others, he long goes well, and no sparrow hawk, hawk, eagle or harrier will not harm him, especially when he himself and his honest nourishment the dear God all evenings and mornings faithfully commands, one who is all forest- and towns birds creator and sustainers, who also hears the young ravens cries and prayers, without whose will also no sparrow and snowball-let falls down upon the earth." Needs more research. The double negative is confusing. At least one one other translator also translated this without the"not" in the sentence. If the "not" belongs there, then the double negative means that all the birds will/can harm him? "Du, mein lieber Vater, wer sich nährt ohn' ander Leut Schaden, der kommt lang hin, und kein Sperber, Habicht, Aar oder Weih wird ihm nicht schaden, wenn er zumal sich und seine ehrliche Nahrung dem lieben Gott all Abend und Morgen treulich befiehlt, welcher aller Wald- und Dorfvöglein Schöpfer und Erhalter ist, der auch der jungen Räblein Geschrei und Gebet höret, denn ohne seinen Willen fällt auch kein Sperling oder Schneekünglein auf die Erde." 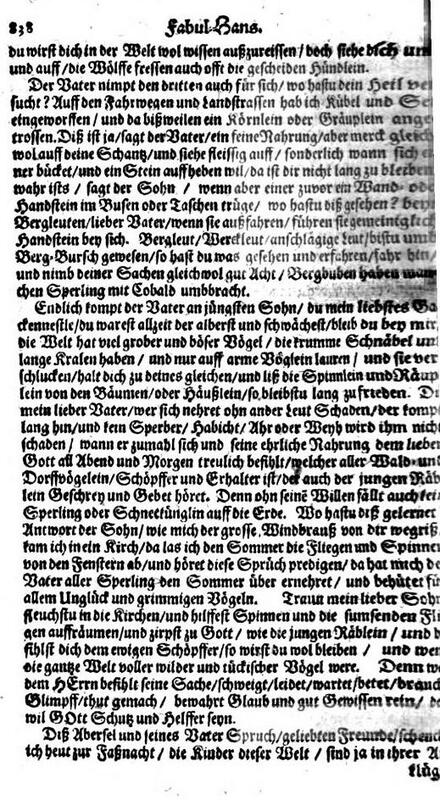 In the original text, this 1 sentence is actually 2 sentences as can be seen in the 1663? published book. 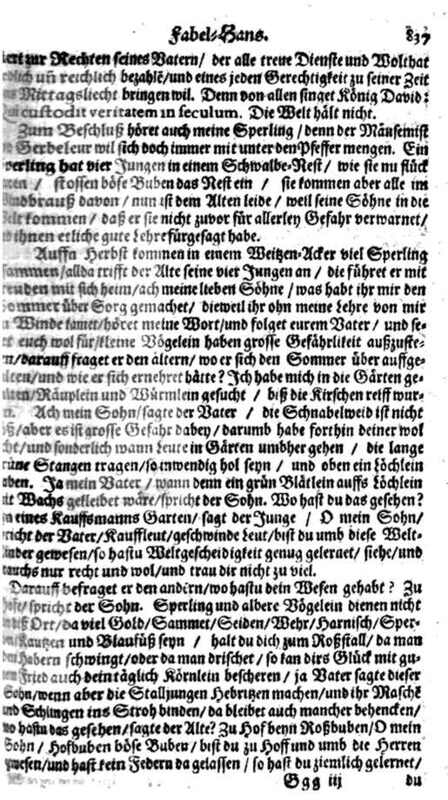 "Schneekünglein" is possbily an old way of spelling "Schneeküglein. There is no "n" after the "ü" and before the "g" in the modern word for "Snowball-lets." 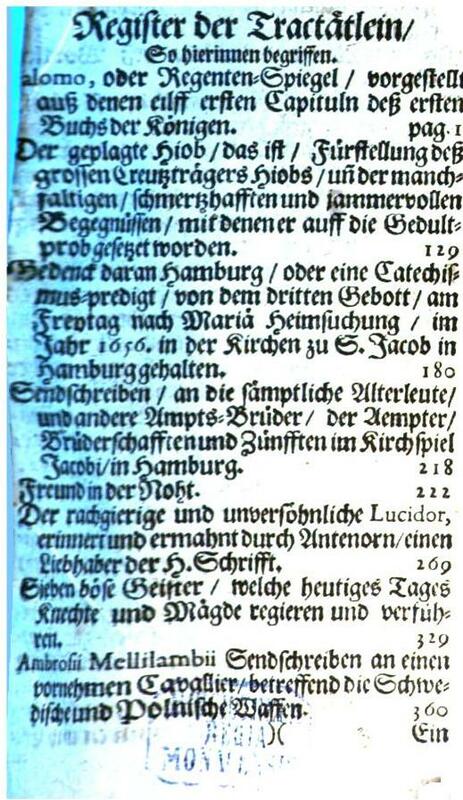 Modern German texts keep the old spelling. Youngster or boy? In the original German it is written "Junge" which can be either youngster or boy. " Junge" is used 3x in the beginning. The first two occurrences mean "youngster", the third occurrence is best translated as "boy."